For years writers and artists, including Robinson Jeffers, Henry Miller, Richard Brautigan , Hunter S. Thompson and Jack Kerouac, were drawn to the rugged and isolated coast of Big Sur for inspiration. 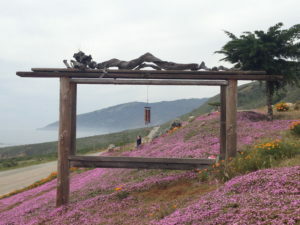 Their bohemian lifestyle was infused along the 90 miles of coast called Big Sur. Big Sur, where the mountains meet the sea is also the inspiration that my wife Sheryl and I drew upon to create our family business in 1993. Our goal is to support a lifestyle of camping, hiking, surfing and fly fishing along with other extreme outdoor activities. 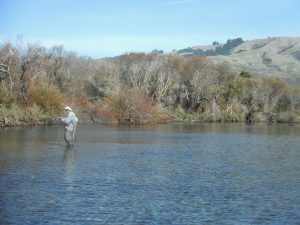 For the fly fishing enthusiast, we offer Aquaz waders, boots, jackets, WETSOX, Mystic fly rods and SuperCat Float tubes needed to catch the coastal rainbows in northern Big Sur or the striped bass from San Luis Reservoir. Fresh or saltwater fishing, we have you covered. Big Sur Styles also carries gear for Surfers, SUPers and bodyboarders. We have Doyle epoxy SUPS and longboards, WETSOX, Custom X bodyboards and ERS4 fins, Bully’s leashes and Hot Tanks. Take the Big Sur Style along with you on your next adventure.